Keeping your office prepared for the flu season is vital in maintaining a healthy and productive workforce throughout the season. 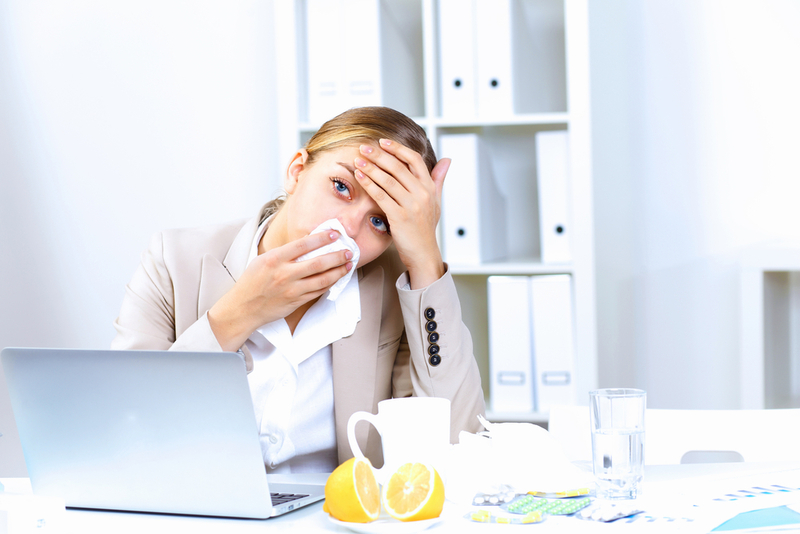 The condition is inevitable, and you may notice that as the temperatures drop, there is an increase in the number of workers who come to the office sneezing, coughing and snuffling. Unless it is avoided, it does not take long before the number doubles. It is your responsibility to take a stand and bring your office back to its normal productivity this season by taking actions for flu protection. There are different steps you can take to ensure that, like installing sanitizers and encouraging your workers to take flu shots, but the best way is by hiring a professional cleaner to get rid of the germs before anyone contracts them. Cleaning all surfaces with disinfectants can help in stopping the spread f the flu virus. Schedule a regular cleaning with a professional cleaner to ensure that the office is free of germs. It is good to remember that the germs can live on a surface for 48 hours infecting anyone who comes in contact with the surface. A professional cleaning company ensures that your office is germ-free thus protecting your workers. It is important to sanitize the high touch areas as a way to protect your staff from flu. These will include the phones, desks, keyboards and doorknob, sinks, bathroom, and doors. Having flu season professional office cleaners will help you in making a plan of the areas of attack and provide you with the best disinfectants to avoid flu outbreak in your office. Using just standard cleaning products is not enough to kill germs especially the stubborn germs like influenza virus. Most disinfectants only get rid of the mild bacteria but with janitorial cleaners, they have access to strong disinfectants, and they can use even the harsh chemicals properly. Disinfectants are effective but only if used correctly. If not handled well, they can be dangerous. Most of the products require using safety equipment like gloves and eye protection. Professionals know how to mix them properly in the right amounts that will ensure thorough killing of germs. Professional cleaners have the knowledge on how to handle potentially dangerous chemicals properly and safely ensuring that there is no chance left of leaving live bacteria and viruses. Professional cleaners can detect germs that you cannot detect when you do it yourself. They have the equipment needed. They have customized packages meant to suit everyone’s specific needs. Also, they are highly trained and experienced, and they can do both germs prevention and getting rid of the present germs. Janitorial cleaners will focus on not only disinfecting but also other means of sanitation like trash removal, vacuuming the carpets and furniture, getting rid of allergens and germs. Keeping your office clean provides a healthy environment for your workers and this increases productivity. Hiring professional janitorial services will not only help you in preventing flu but also minimizes the risk of any other diseases causing germs. It will be of great benefits for you, your employees and visitors ensuring that they live a healthy life which reduces the cost you would have incurred on workers’ medical bills. It also ensures that no employee has to stay at home due to illness and thus your productivity will always remain at the top throughout the season.